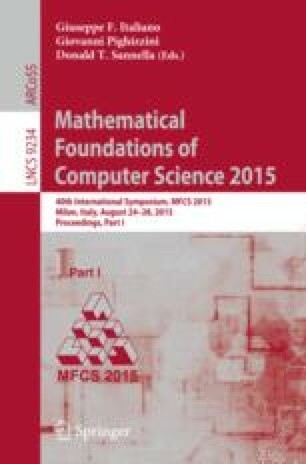 This paper considers the computational hardness of computing expected outcomes and deciding (universal) (positive) almost–sure termination of probabilistic programs. It is shown that computing lower and upper bounds of expected outcomes is \(\varSigma _1^0\)– and \(\varSigma _2^0\)–complete, respectively. Deciding (universal) almost–sure termination as well as deciding whether the expected outcome of a program equals a given rational value is shown to be \(\varPi ^0_2\)–complete. Finally, it is shown that deciding (universal) positive almost–sure termination is \(\varSigma _2^0\)–complete (\(\varPi _3^0\)–complete). This research is funded by the Excellence Initiative of the German federal and state governments and by the EU FP7 MEALS project. We would like to thank Luis María Ferrer Fioriti (Saarland University) and Federico Olmedo (RWTH Aachen) for the fruitful discussions on the topics of this paper. Furthermore, we are very grateful for the valuable and constructive comments we received from the anonymous referees on an earlier version of this paper.